Interested in learning more about AI? You should attend Adweek’s Elevate: AI summit March 6 in New York. Register here. Artificial intelligence finds and identifies the best parts about human behavior. It matches our desires with the exact information, product or service we need, at the right time. It is increasingly used to improve search results, and it will be the driving force behind the changes in content production, target marketing and advertising that we will see on Facebook. Facebook has an abundance of data on its users that, when mined intelligently, can uncover hidden patterns. Such information—when implemented properly into content creation, marketing strategy or advertising targeting—creates a truly unique lifestyle experience. It gives users the most efficient information and access to knowledge, tailored and customized in a way that has never been done before. AI is the marriage of technology and data, and it can be leveraged to produce personally tailored content based on online personas. For instance, when you search for restaurants in a certain city, AI can reveal personalized matches based on past searches, browser history, mobile application usage, Facebook check-ins, Facebook likes, groups and prior reservations. These points intersect and provide a wealth of information about your desires, behaviors and preferences that customize restaurant recommendations specifically for you—and this goes for anything you’re searching for, not just restaurants. Thanks to its wealth of data, Facebook has positioned itself as the place where marketers can reach consumers in the most cost-effective way. Consumers want to be empowered by content that is specific to their needs and interests, and tolerance for irrelevant advertisements is at an all-time low. Facebook will be key to companies that want to grow their customer-bases and retain current consumers because they can tap into the technology, data and machine learning that the social media giant has to offer. When brands use AI in the development of their marketing tactics, it effectively increases conversions and decreases budget waste. Product design and marketing are driven by human behavior—the how and why people do things—and at the end of the day, consumers want brands that assert themselves into that human desire. 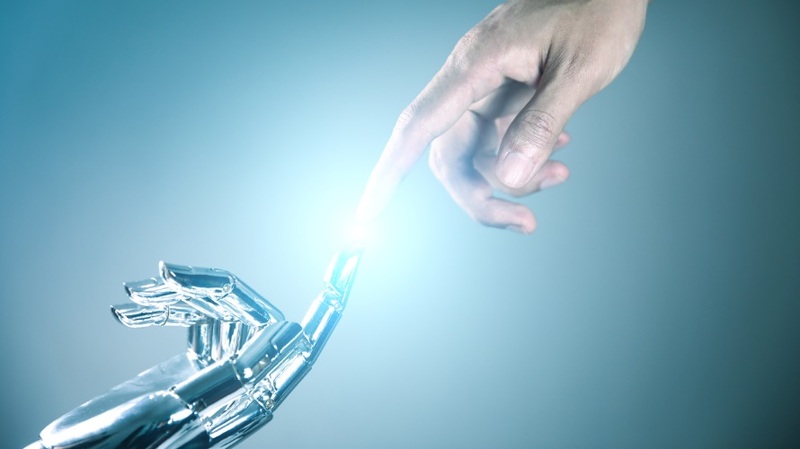 Those that do so through the combination of Facebook and machine learning will be successful and grant the opportunity to connect and communicate with other people at the precise time they need, with custom content they are likely to care about. Consumers continue to demand more personalized experiences with the added caveat that they function seamlessly—they want to see the ads they want. For instance, AI capabilities can detect what products you are searching for, and it will pull data on the times you often make purchases. AI lets marketers know that information so that they can hit each consumer at a likely purchase time. Using AI and machine learning to map out and skillfully intrude in the customer life journey to increase conversions is one of the biggest opportunities for marketers on Facebook. Facebook has an impressive collection of data on its users—it might even know more about your spouse or best friend than you do. It can leverage such data when working with marketers to automatically deploy content on behalf of a brand to deliver unique customer experiences. Users respond to being told what to buy, and Facebook will drive those conversations for brands by showing ads that fit the consumer. This not only empowers users, but provides an immediate gain for marketers. Traditionally, advertising takes a lot of resources. However, Facebook chat boxes on behalf of brands work great because the social media powerhouse provides data to better manage communities effectively and efficiently at a low cost. As advertising becomes more accessible on Facebook, machine learning will drastically reduce manual resources needed to manage and optimize campaigns—not only saving money, but increasing return on investment.